“Writing mysteries takes a thief’s mind,” Thomas Walsh told The Ridgefield Press in a 1962 interview. But he also confessed that “the life of a writer isn’t all beer and skittles. Walsh did plenty of writing. 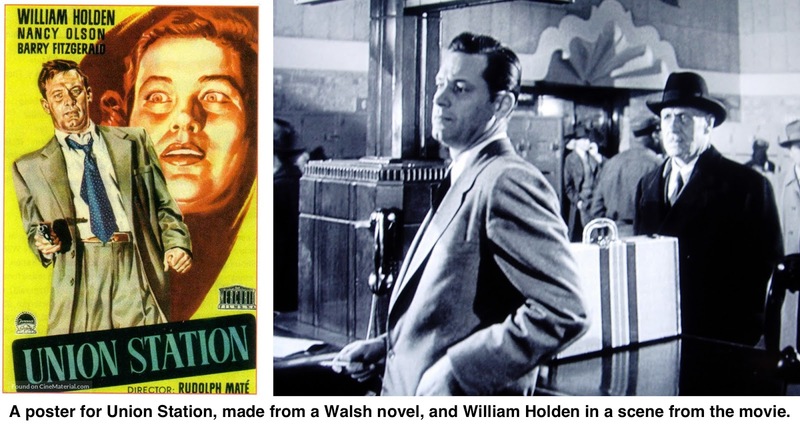 He turned out 11 novels including “Nightmare in Manhattan,” which won a 1950 Edgar Award and was made into the film, “Union Station,” starring William Holden and Barry Fitzgerald. “The Night Watch,” a 1952 book, became the 1954 movie, “Pushover,” starring Fred MacMurray and Kim Novak. A native of New York City, Thomas F. M. Walsh was born in 1902 and began writing for his high school newspaper. He dropped out of Columbia in his sophomore year and went to work as a reporter for The Baltimore Sun. major magazines. Saturday Evening Post carried more than 50 of his mysteries, but his work also appeared in Collier’s, Good Housekeeping, Woman’s Home Companion, and other periodicals. With the money he earned from Union Station, he bought a “little house” on eight aces on Casey Lane where he lived from 1949 to 1965. He died in Enfield, Conn., in 1984 at the age of 76.